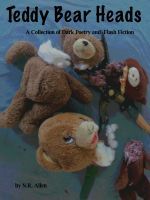 This collection of dark poetry and flash fiction wants you to come and play. After all, even the things in the dark get lonely. Featuring: “Teddy Bear Heads”, “210 Carver Street”, “Talking to Dead Things” and more . . .